After the massacre Sunday, the Bengals made a few coaching switches as a response to the game. To start off the changes, the defensive coordinator of the Bengals with head coach Marvin Lewis taking over most of the defensive calling capabilities. Read Austin Price’s article for more information on that change. Lastly, a familiar face came back to Cincinnati who should definitely be able to help flip the teams pitiful season back into shape and back into division leaders for the last few games. 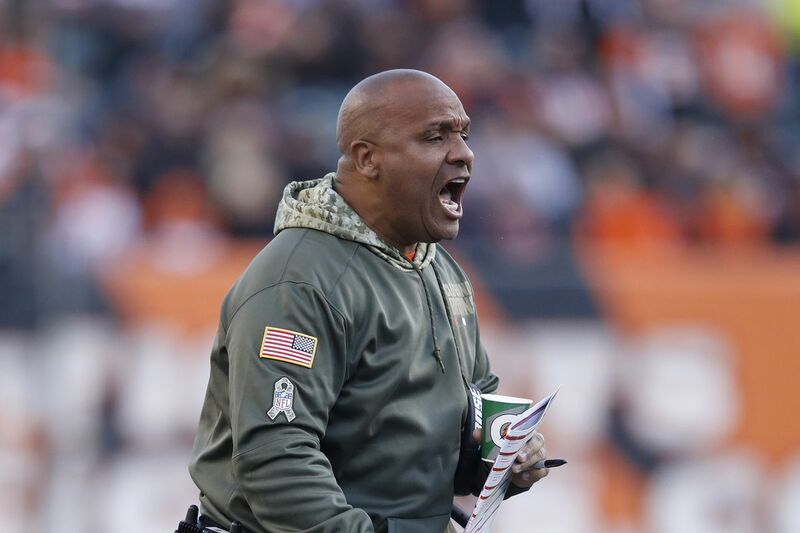 Hue Jackson was hired after getting fired a few weeks before from the head coach job at Cleveland. Jackson was Marvin Lewis’ right hand man for a few years before leaving for Cleveland in 2016. Although Cleveland hasn’t had the best past couple years and Jackson has a horrible win loss record, he knows the Bengals offense and how they work. He built the team that went 0-16 one year and now their at a record of 3-6 at week 9. This new addition should be able to help get the struggling offense back on track and help the defense return to their clutch play seen earlier in the season.